Jimi the Piper: CEAD MILL FAILTE! Hello and a very warm welcome to the web-site/blog of Scottish piper Jimi McRae aka Jimi the Piper. Jimi needs no introduction to many, but just in case you're new around town, a quick resume of his musical career to date seems in order.. Jimi has been playing the pipes for well over 30 years, since the age of 10. He spent his formative years on the Scottish pipe band scene but first really came to prominence during the financial recession of the early 1990s after losing his job. Rather than taking his place beside many others in the unemployment queue, Jimi decided to try his hand at busking, or street performing, to make ends meat. Initial successes, though encouraging, were cruelly tempered by a harrowing road accident which left him temporarily crippled with serious injuries. Undaunted, Jimi was soon back piping, and his perseverance began to pay off with invitations to play at events and ceilidths across Scotland. This was the period when Jimi earned the nick-name 'Jimi the Piper'.... Members of 'An Clann', Scotland's top fight display team, with whom Jimi performed for a while, were first to coin this 'nom de plumb'. It's pretty much stuck since! 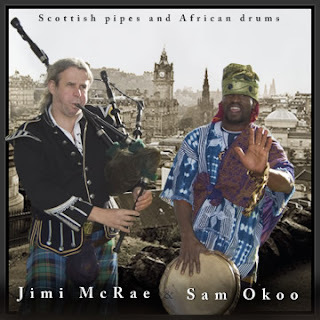 In 1999 Jimi released his debut album 'Pipedreams', featuring a mix of original compositions and traditional tunes, and a range of pipes including Highland, Lowland and electronic. The album received a positive reaction, including several good reviews. Spurned on by this and good sales, Jimi teamed up with Offbeat Scotland record producer Iain McKinna for his next release 'Earthdance' in 2001, a much more complex affair featuring a bevvy of Scottish musical talent and joint original compositions by Jimi and Iain. Once again, the release was extremely well received. Jimi and Iain formed a band to promote the music. Tours of the west coast of America, Germany, France and Scotland followed. Over the next few years the band became a popular attraction on the UK music festival circuit. They headlined the ceilidth tent at Scotland's biggest music festival 'T-In-The-Park three years in a row, received regular invitations to perform at English folk festivals, and also appeared in the prestigious Spiegel Tent during the Edinburgh International Festival. In early 2005 the band were invited over to China to perform at a week long festival celebrating Chinese New Year in Beijing. This was soon followed by the release of the album 'Kick Out The Ghosts'. By 2006, however, the usual internal 'musical differences' were taking a toll and the band decided to call it a day. Jimi immediately commenced work on his next project - an album documenting the rich piping tradition of Clan MacRae. Clan society members in Scotland and the USA had approached Jimi with the idea following hugely popular appearances by him at the Clan MacRae international gatherings in 2000 and 2005. 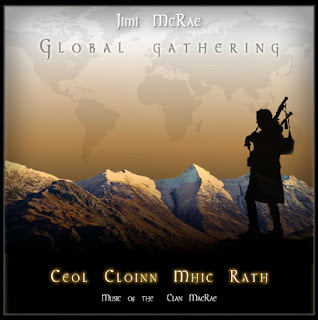 This project called 'Global Gathering -Ceol Cloinn Mhic Rath (music of the Clan MacRae) was released in 2009. Global Gathering featured a range of pipes (Highland, Lowland, Arabic and electronic) and a mix of original Jimi compositions plus traditional tunes relating to the clan. Several guest musicians including Nigel Richards on Cittern, Crispin Caunter on didgeridoo and Eric Clark on 'heavy' drums also took part in recording sessions. The critical and public response to Global Gathering was, yet again, excellent. Around this time, Jimi resumed a musical partnership with old friend, Nigerian born African percussionist Sam Okoo. Jimi and Sam first met and played together at the Edinburgh International Festival in 1998. In 2002 they performed together in an award winning Festival production of 'Go Go - The Boy With Magic Feet' in the city's Royal Botanic Gardens. By 2009, Jimi felt the time was right to release their debut album, appropriately entitled 'Scottish Pipes & African Drums'. The album featured many well known Scottish and Irish pipe tunes, and was recorded with multi-pipe harmonies by Jimi in a style reminiscent of pipe bands. However, there was a twist - the entire drum corps was Sam and he was playing the African djembe! Quirky and good fun, 'Scottish Pipes & African Drums' proved to be a winning formula. In early 2010, Jimi, with Sam, returned to Beijing to perform at Chinese New Year celebrations. Trips to Holland, Greece and Sweden followed and 2011/12 saw the pair invited to perform at official functions hosted by the Scottish Parliament THREE times - firstly at a reception for famous Scots singer Annie Lennox, followed by an appearance in the official Parliament reopening parade in the summer, and finally at a reception for African dignitaries in Edinburgh Castle. The year 2012 also saw Jimi's album 'Global Gathering' reach the top of a German music album chart . This followed screenings and airplay on a national German TV station of music videos produced by Jimi. These featured footage gleamed from his extensive travels around Scotland as a piper, motorcyclict and hill walker.. In November 2012 he was invited over to Berlin to appear on several live TV shows. 2013 began with Jimi commencing work on a new solo album project. 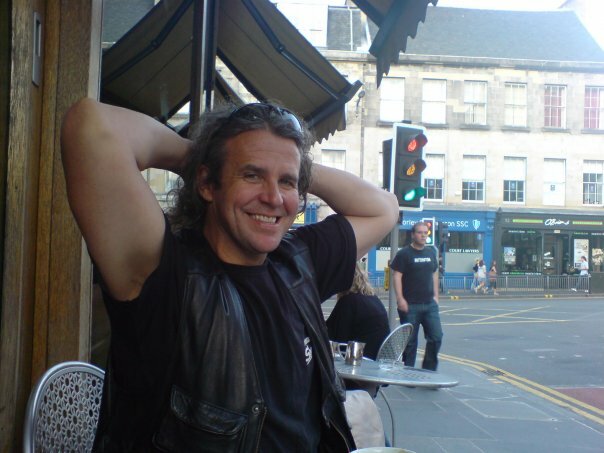 He also teamed up with 'Spike', lead singer with UK rock band 'The Quireboys' to record an album of Frankie Millar songs.. A charity single from this (a version of Frankie's classic 'Bottle of Whisky') featuring the Scottish rugby team on backing vocals has been released. The album is due out in the latter half of 2014. Video footage of Spike, Jimi and the rest of the Quireboys performing 'Bottle of Whisky' live in Glasgow can be viewed in this site's 'News' section. 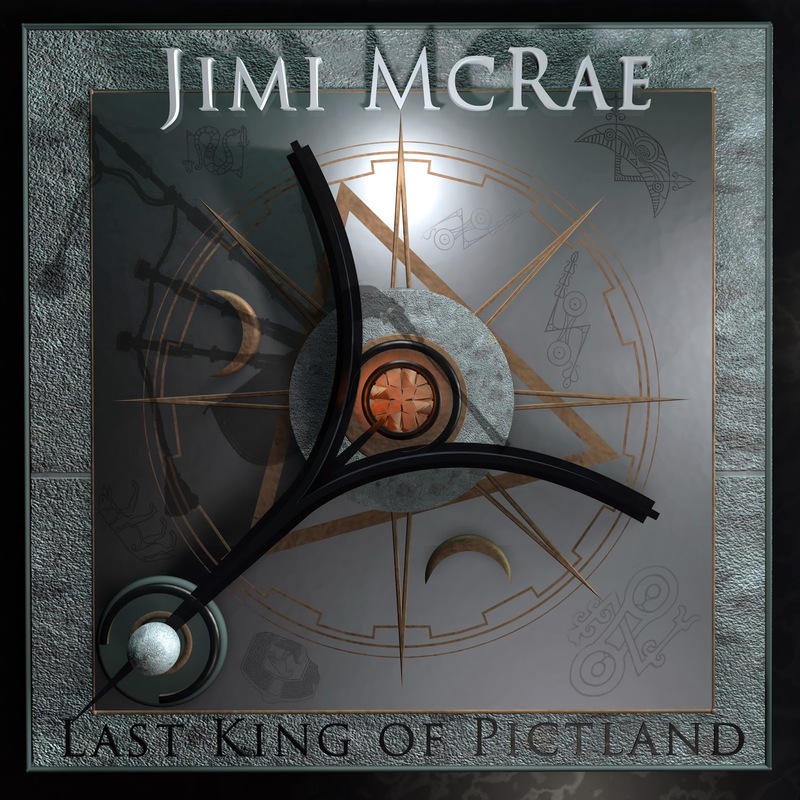 Early 2014 heralded the release of Jimi's sixth studio album 'Last King of Pictland', recorded at studios in Scotland and Portland, Oregon, USA, which blended bagpipes with many different genres. Praised by fans and critics alike (see reviews in earlier posts here) 'Last King of Pictland' featured six original compositions and three 'wildy creative' traditional arrangements. Influences include heavy metal, progressive rock, traditional Scottish, Greek and Irish and more all combined with a modern edge. Jimi continues to remain busy and in demand on the live front. So far in 2014 he has performed in Rome, Amsterdam and various venues around Scotland. A return trip to Amsterdam is planned for July along with shows in Ibiza at the end of August. German TV producers are also keen for him to return to Berlin. Watch this space for more details..